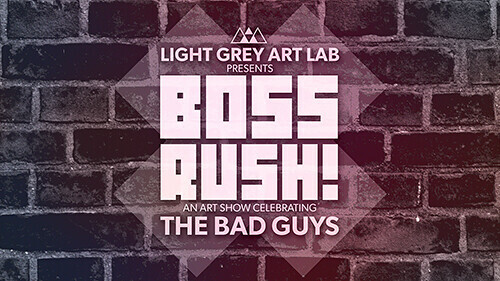 Thanks to everyone that submitted their links to the upcoming BOSS RUSH exhibition! Now only are we thrilled to be working with such a great group of artists, we're excited because all artists participating will have a chance to win "Best of Show" awards at GlitchCON, coming March 28th-29th! A guest juror will be selecting 10 artists for special features during the convention and we'll be announcing awards alongside the exhibition at Light Grey! We are excited to announce the list of participating artists! More information will be available about the show as we get closer to Opening Night! Thanks again to everyone that submitted!